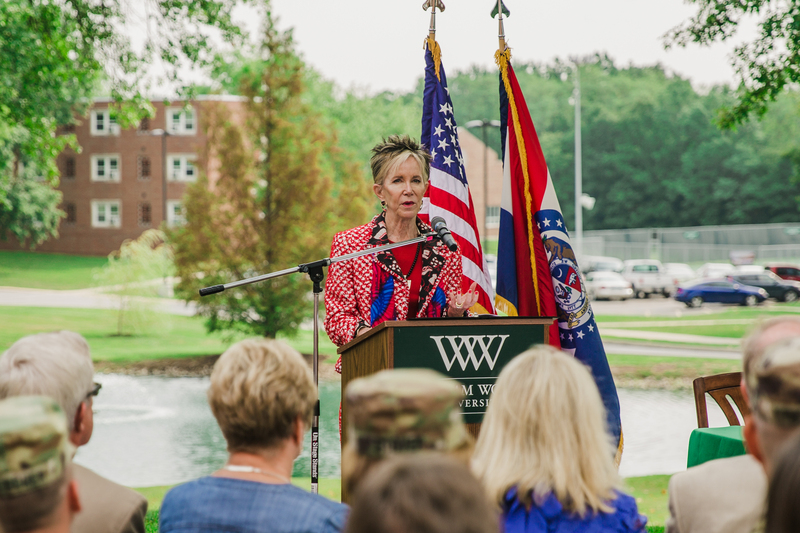 William Woods University (WWU) President Dr. Jahnae H. Barnett joined Major General Stephen Danner, Adjutant General of the Missouri Army National Guard (MOARNG), local legislators and community leaders today in announcing the establishment of the Show-Me Guard Officer Leadership Development (Show-Me GOLD) program at William Woods. 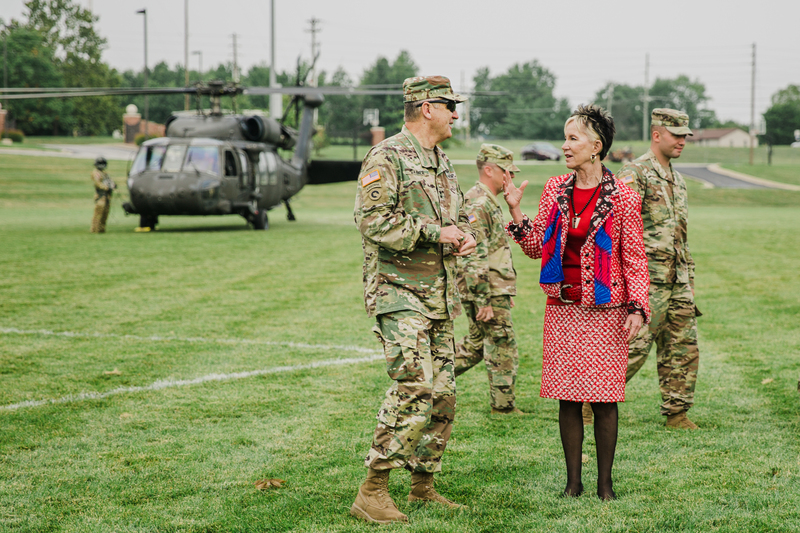 The university is launching the GOLD program, which is designed to provide a pathway for individuals interested in becoming officers in the MOARNG, during the fall 2018 semester. 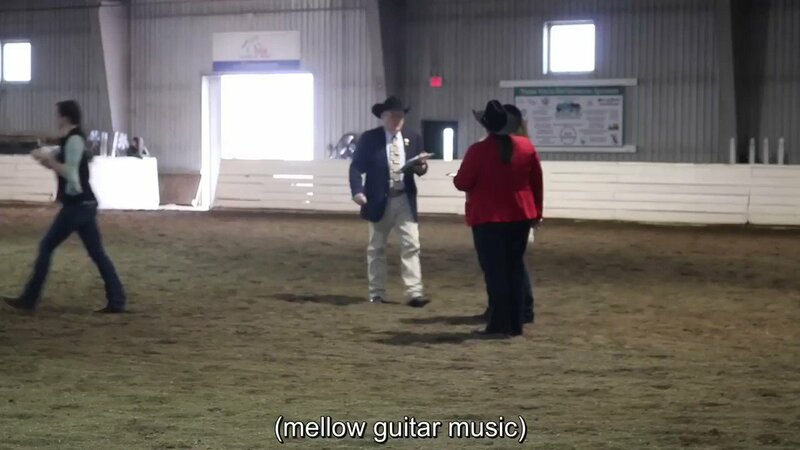 William Woods thus becomes only the fourth university in the state to host the Show-Me GOLD program on its campus, the first private institution to do so and the only university that offers it in the central, north-central and eastern regions of Missouri. 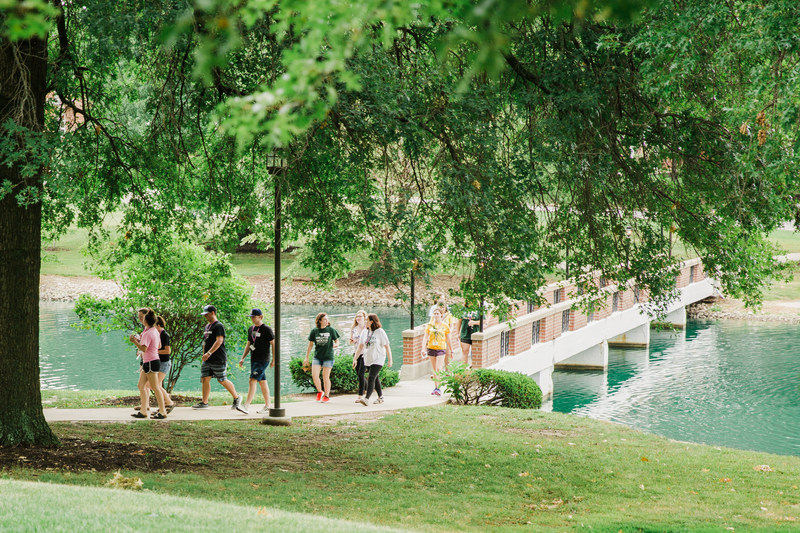 The other three are all larger, public universities in the state’s far corners (Northwest Missouri St., Missouri Southern St. and Southeast Missouri St.). Show-Me GOLD prepares candidates for the rigors and challenges they will face as commissioned officers in the Army National Guard. 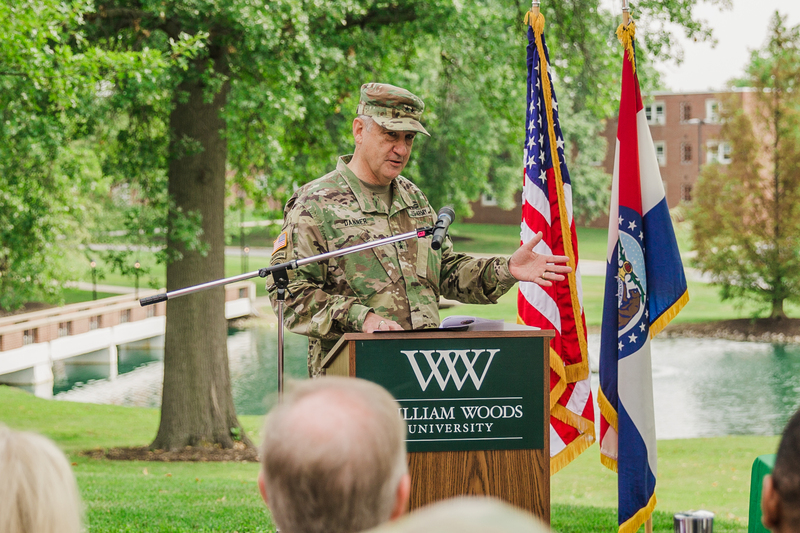 To be eligible, students must be a member of the Missouri Army National Guard and accepted to enroll at William Woods. 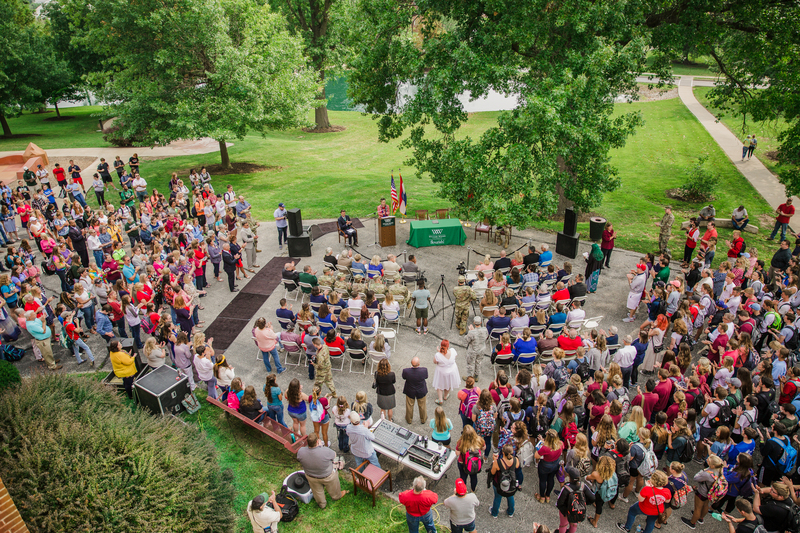 Participants will attend military science classes during their freshman, sophomore and junior years at WWU, and attend an accelerated Officer Candidate School during the summer between their junior and senior years. 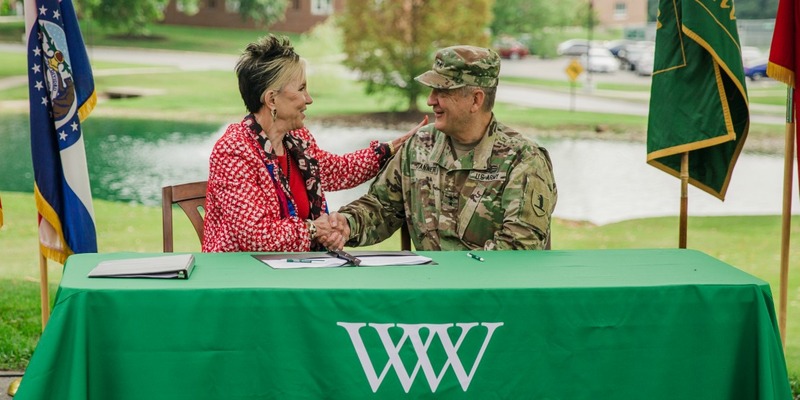 When students graduate from William Woods, they will have a Bachelor’s Degree in their respective academic discipline, a Minor in Military Science and be commissioned officers in the MOARNG. 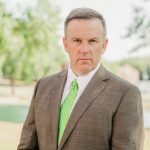 Since Dr. Barnett’s appointment as president in 1990, William Woods has seen tremendous growth as an institution. Total enrollment has increased from 750 to over 2,000 students; the university’s endowment has increased by nearly 250 percent; graduate-level, online, study abroad and new degree programs have been added; the university eliminated its long-term debt and has maintained an operating budget in the black for 15 straight years; and infrastructure and capitol improvements on the main campus in Fulton have included the construction of ten new major buildings.